Do you have unappealing spider veins on your face or legs that you want removed? Are you looking for a comfortable vein removal procedure with no downtime? At Fox Vein Experts, our VeinGogh treatments safely and effectively remove spider veins quickly, easily, and reliably. While other spider vein treatments consist of lasers or light therapies, VeinGogh is uniquely designed with Ohmic Thermolysis technology to quickly and instantly eradicate spider veins without damaging or scarring the skin surface. Using a revolutionary frequency regulator called Microburst Technology, VeinGogh comfortably and gently heats targeted vessels, collapsing vessel walls and rerouting blood through healthy veins while leaving healthy skin and tissues intact. The high-frequency electrical energy is delivered via a hair-thin probe, creating a comfortable treatment that is safe for all skin types and has significantly less risk of visible scarring. Fast treatment times from a few minutes to a half hour, depending on the size of the treated area. 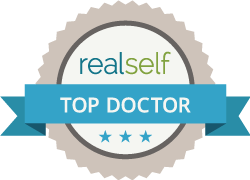 A proven history of success, with spider veins completely removed 60-70 percent of the time. Results are immediate with continuous improvement over several weeks as the veins are absorbed and removed by the body. Am I a Candidate for VeinGogh? During your consultation at Fox Vein Experts, we will evaluate factors such as your medical history, health, and individual condition in order to determine the best course of treatment for you. Some types of veins, such as feeder and larger varicose veins, may not be able to be treated with VeinGogh. The treatment options that are available to you will be discussed during your consultation. VeinGogh features built-in safety features that protect the skin during treatment, requiring no healing time afterward. This advanced technology delivers precise, predictable results, and our medical team at Fox Vein Experts have several years of experience with this and other vein treatments to ensure professional results. With locations in Hollywood and Pembroke Pines, Florida, Fox Vein Experts is led by Dr. Susan Fox, who is an expert in veins and vascular medicine. Contact us today to schedule a consultation with our medical team and discover the benefits of VeinGogh for spider vein removal.